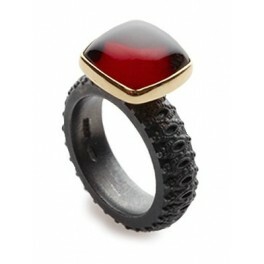 Oxidised silver ring with a cushion cabochon garnet set in 18ct gold. 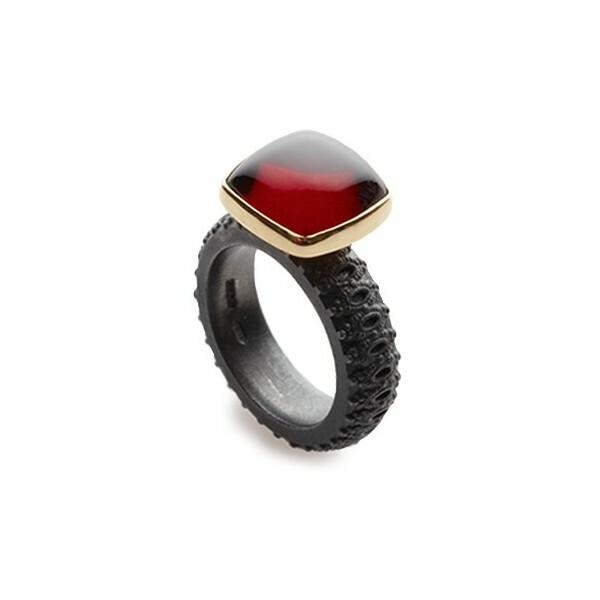 A bold ring with a soft square cushion-shaped cabochon garnet in a rich red colour. Set in 18ct yellow gold, the garnet measures 12mm and weighs 10.25 carats. The ring shank is decorated with an intricate pattern and has a comfortable curved interior surface. 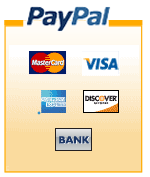 The thickness of the band is 6x3mm with a rectangular cushion profile. The garnet is 12mm.